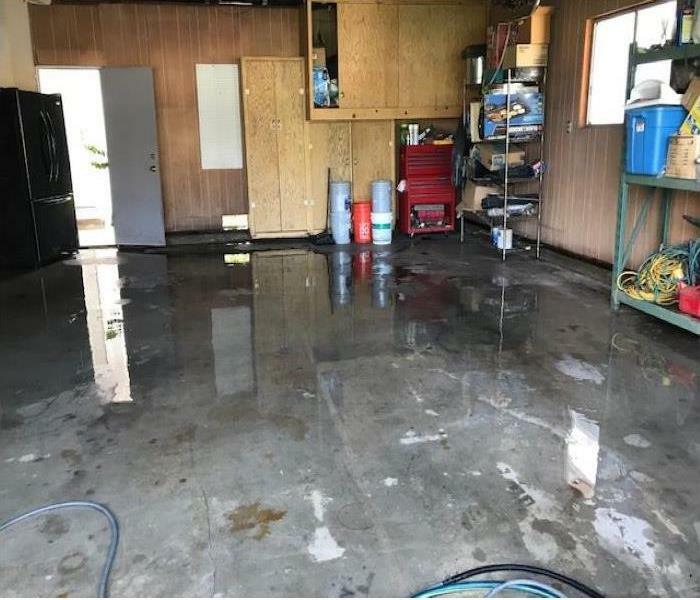 After your home or business experiences water damage from a leaky pipe, rainstorm or flood, you naturally want to get things back to normal as soon as possible. If you’re dealing with anything other than a large incursion, you understandably may be considering handling the cleanup and drying yourself to save money or time. The problem is that cleaning up and recovering from water damage isn’t always as straightforward as it seems. It’s important to understand the differences because Category 2 and Category 3 water present health risks to your family or employees and need to be handled differently. The most likely sources of clean water would be water from a pipe, water heater, or steam lines. The basic rule of thumb is that it should look and smell like tap water. However, Category 2 Water - Refers to a source of water that contains a significant degree of chemical, biological or physical contaminants and causes discomfort or sickness when consumed or even exposed to, this is known as "grey water". Examples are toilet bowls, sump pump failures, water discharge from dishwashers or washing machines. Then we have Category 3 Water - Known as "black water" and is grossly unsanitary. This water contains unsanitary agents, harmful bacteria and fungi, causing severe discomfort or sickness. This category includes water sources from sewage, seawater, rising water from rivers or streams, ground surface water or standing water. Category 2 Water or Grey Water that is not promptly removed from the structure and or have remained stagnant may be re classified as Category 3 Water. A toilet back flow that originates from beyond the toilet trap is considered black water contamination regardless of visible content or color. Here at SERVPRO of Highland/North Redlands we are trained and certified for water damage restoration. are preferred vendors for multiple insurance companies and will be happy to help you from start to finish during your claims process. Do not feel frightened or alarmed, stay calm and call SERVPRO of Highland/North Redlands and just like our motto we will make it “Like it never even happened." 2018 was one of the worst years in history for California wild fires. The Woolsey Fire was just one of the thousands of California wildfires recorded last year, but the amount of destruction resulting from the fire was astronomical! The Woolsey fire ignited on November 8, 2018 and burned more than 96,949 acres with countless homes destroyed, and even more damaged from the resulting debris, smoke & soot. Once our fearless CAL FIRE and the U.S. Forest Service gained control and contained the wild fire, it was time to clean up and rebuild. SERVPRO of Highland/North Redlands wanted to do anything we could to help our community that was in need. SERVPRO of Highland/North Redlands were one of the First Storm Team responders on site. We did everything we could to help the residents of Malibu and Thousand Oaks return to the comfort of their homes. SERVPRO has always dreamed of going beyond that extra mile to help restore those loving & beautiful memories families like you have created. Thank you and remember to always stay safe, and if ever in a crisis you know who to call. Even higher-than-normal indoor humidity can support mold growth. Keep indoor humidity below 45 percent.If your home or business has a mold problem, we can inspect and assess your property and use our specialized training, equipment, and expertise to remediate your mold infestation. SERVPRO of Highland /North Redlands is available 24 hours a day for water emergencies, large or small. When you are dealing with water damage, immediate action is crucial. A delay of just a few hours can greatly increase the severity of the water damage. We understand that when you call us, you may be feeling confused, stressed, and vulnerable. You need an expert to guide you through this crisis. SERVPRO of Highland /North Redlands has the specific water damage training and experience to help you through this tough time. We specialize in water damage restoration—in fact, it's the cornerstone of our business. 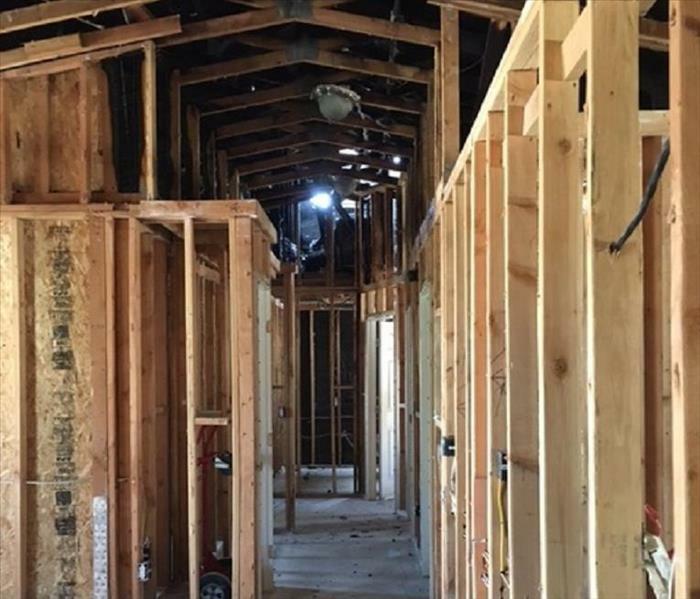 Is there electricity available (on-site)?SERVPRO of Highland /North Redlands specializes in the cleanup and restoration of residential and commercial property after a fire, smoke or water damage event. Our staff is highly trained in property damage restoration. From initial and ongoing training at SERVPRO’s corporate training facility to regular IICRC-industry certification, rest assured our staff is equipped with the knowledge to restore your property. Full house demo needed after fire rages through the cajon pass causing evacuations and freeway closures. 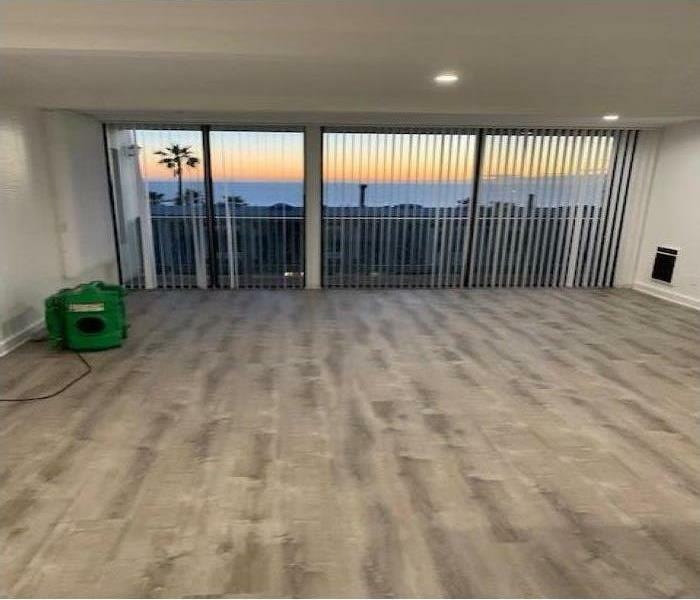 Thousands of residents had to be placed in temporary housing and although a very difficult situation, SERVPRO helped facilitate the process for this homeowner. Our prompt response and immediate action helped get her back in her home in only a few short weeks. SERVPRO responded to a vacation home in Big Bear CA following a report that it had been broken into. Upon arrival SERVPRO discovered wall to wall content making it difficult to clean up and perform a board up. 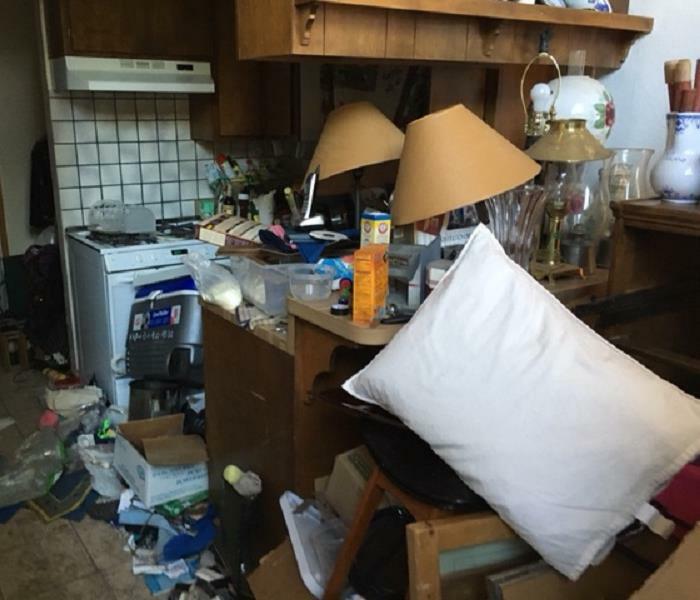 Hoarding can make any bad situation worse and is hazardous to your health. With a little elbow grease we had her home clean, packed out and ready for the upcoming fall season. 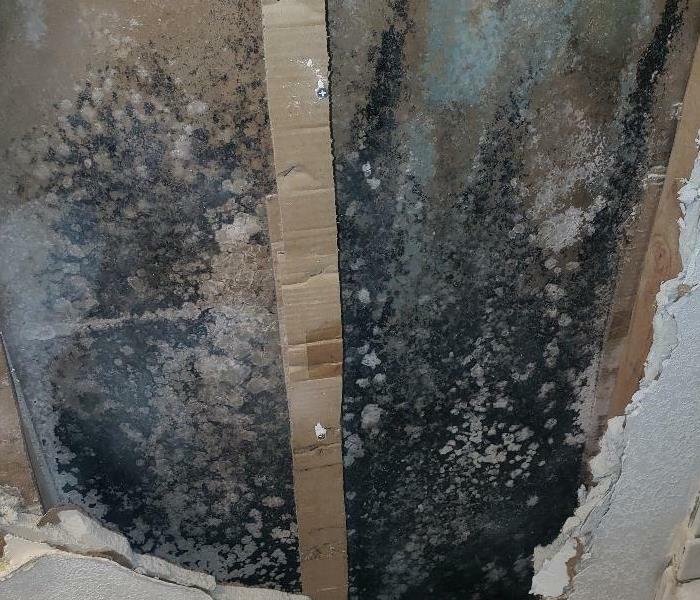 3/28/2019 - Does Your Home Have A Mold Problem?